Is Oilfield Camo a style, a brand, or both? Hi everyone, I noticed some clothes on eBay that were labelled as oilfield camo but were being sold by different people. I'm thinking about starting a small business but don't want to tread on any toes. 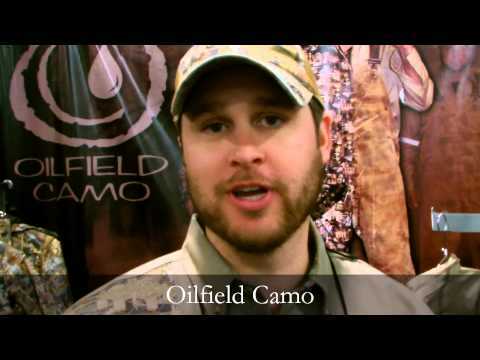 I see that there is a company called Oilfield Camo, but it also seems like a style? I mean, the word 'oilfield' and the word 'camo' are relatively generic, right? To give a bit of background, I'm a student and have got sick of my recent part-time jobs. The hourly rates are terrible, combined with no security or satisfaction at all. A few of my peers have side gigs where they freelance or make money on eBay, Amazon and similar. I plan to enter the oil and gas business later, and combining a side gig with something that matches my future career seems like a good idea. The only problem is that the industry looks like a hard place to break into as an entrepreneur. So, is this a good side business for me to start? Will I get into trouble with trademarks or anything like that? Thanks in advance! When searching for any products on Amazon, eBay or anywhere else, you'll usually see different sellers using trademarked terms. They might be the main company, a distributor, authorised resellers, or selling used products. It's also possible that they're unaware of potential issues or selling fakes. Online marketplaces have a struggle keeping up with fake products (and reviews). If you want to create a business and a brand, always be as original as possible. Sometimes there are grey areas where you can use a term that someone else does legally. If they disagree and file a case against you, you'll still experience a lot of stress and might lose your business even if you didn't feel like you did anything wrong. The world is full of copycats and bandwagon hitchhikers, and it's far better to strike out on your own and create something in your style, that you can be proud of. A fool might create a brand called 'oilrig camo' or some obvious copycat idea. I'd prefer to create something more original. How about 'oily rags?' or 'oil trash threads?'. Before registering a website or creating a company, always do an extensive internet search to see if there is a similar trademark. Legality aside, it's not worth even looking like your imitating. As for your point about the words being generic, you couldn't trademark the word oilfield, but two words combined are usually accepted by the authorities that give these trademarks out. I see that Realtree have an oil pattern, and there are others. Let your designs stand out, don't just worry about the name.